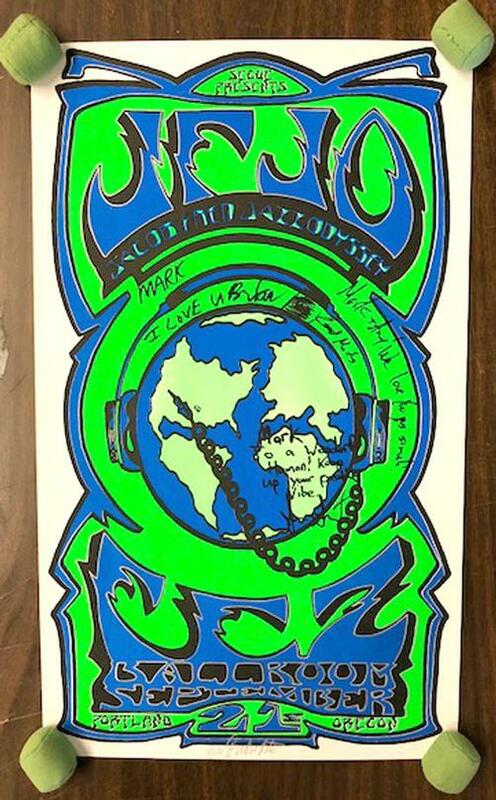 Original AUTOGRAPHED concert poster for the Jacob Fred Jazz Odyssey at the Fez Ballroom in Portland, OR. 12 x 20 on card stock paper. 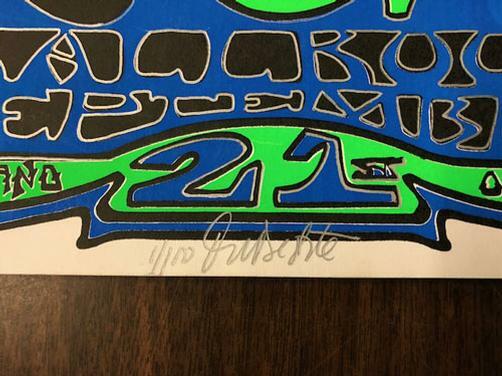 Signed edition of 100 by artist Mike Distante. 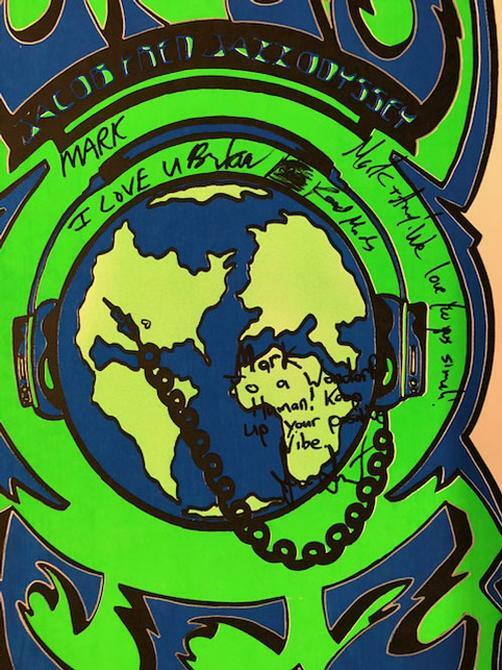 Hand-SIgned by the band. Light creases and handling marks.